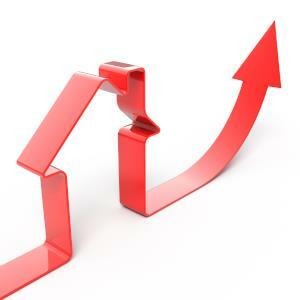 A slowing Australian economy has been forecast to produce increased vacancy rates nationwide through 2015. Figures released by SQM Research show there has been no annual change in the national vacancy rate, despite a slight drop over February. A vacancy rate of 2.2 per cent was recorded over February based on 66,094 vacancies, down from 2.3 per cent in January when the number of vacancies was 69,847. However, there was no annual change compared to February 2014. The vacancy was also 2.2 per cent with the number of vacancies at 60,330. Over the year to February 2015, Canberra posted the biggest yearly decline in its vacancy rate, from 2.1 to 1.6 per cent. SQM Research managing director Louis Christopher said this was reflective of the relatively strong jobs market in Canberra, with an unemployment rate of just 4.5 per cent compared to the national rate of 6.3 per cent. Modest falls were also posted in Melbourne and Hobart. Melbourne saw a drop in vacancy rate from 2.4 per cent to 2.3 per cent, while Hobart’s vacancy rate fell from 1.6 per cent to 1.3 per cent. In contrast, the vacancy rate kept climbing in Darwin closely followed by Perth. Darwin’s vacancy rate jumped from 1.3 per cent to 3.2 per cent, and Perth’s increased from 1.9 per cent to 2.6 per cent. Mr Christopher said the increase in vacancy rates reflect the impact of the commodities downturn. He said this is weighing on employment and property markets in Western Australia and the Northern Territory. “Vacancy rates in Darwin and Perth will probably keep climbing through 2015 and could edge up nationally if the jobless rate rises further,” he said. Mr Christopher said a slowing Australian economy overall will likely place greater upward pressure on the nationwide vacancy rate though 2015.